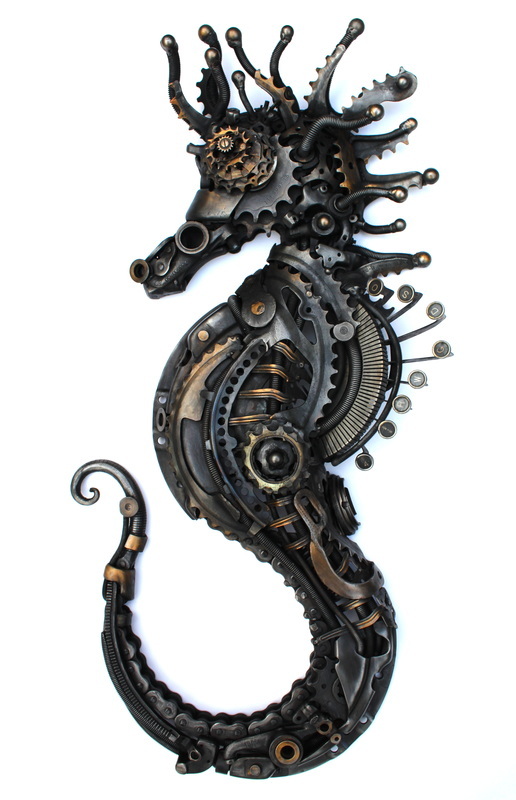 SEAHORSE - I have made a few versions of this piece. Each one is unique due to the nature of the materials I have at any one time and the requirements of the client i.e zinc coating for a life outside. 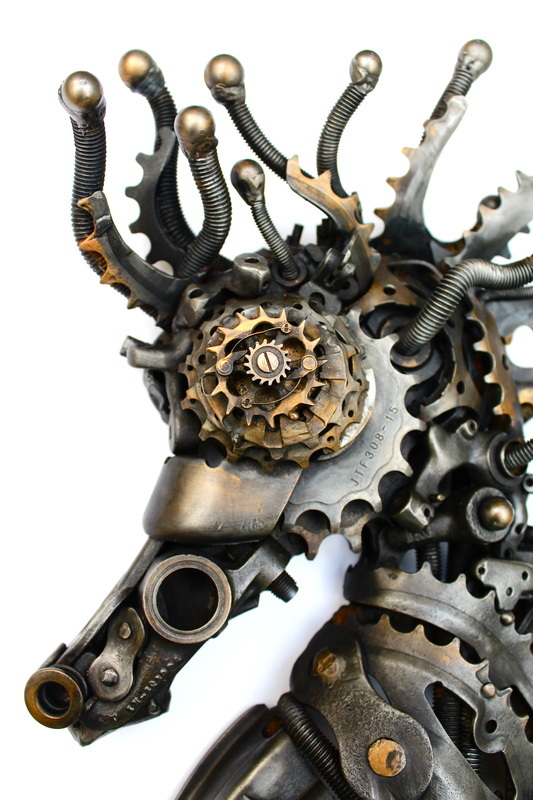 Materials include car clutches, bicycle gears, forged steel, threaded bar, broken typewriter parts, ball bearings, motorbike chain and cogs. Average 70cm tall.